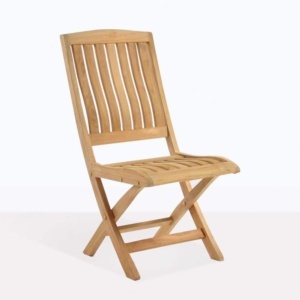 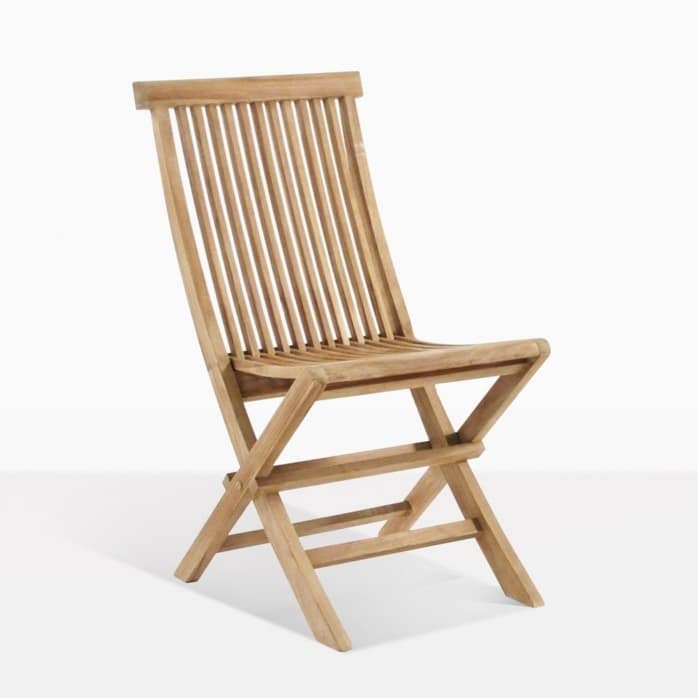 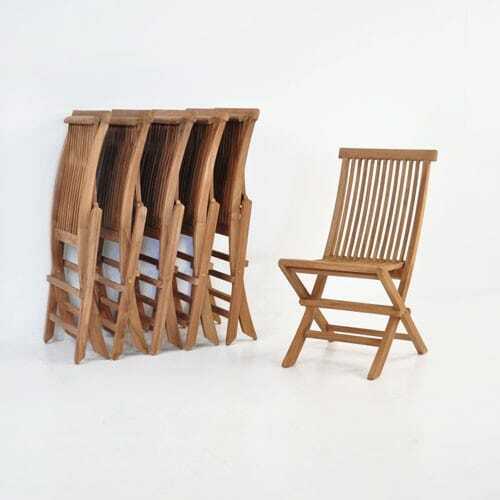 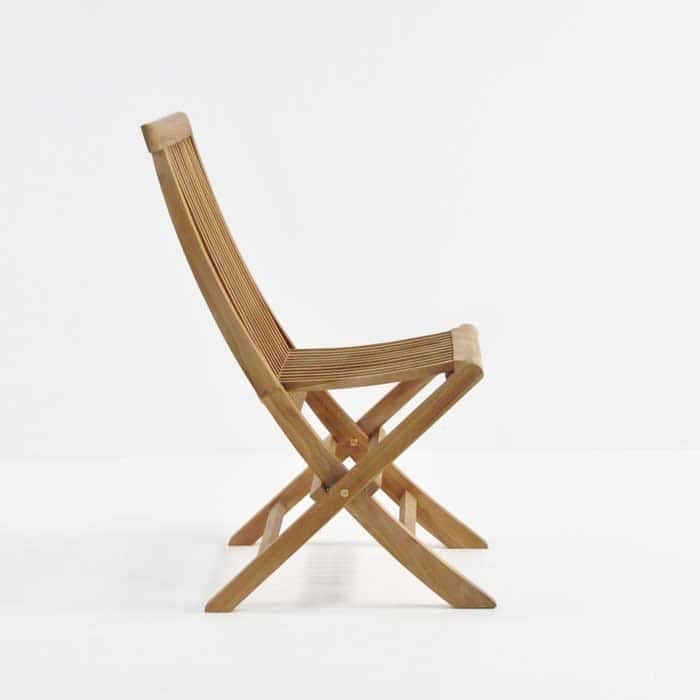 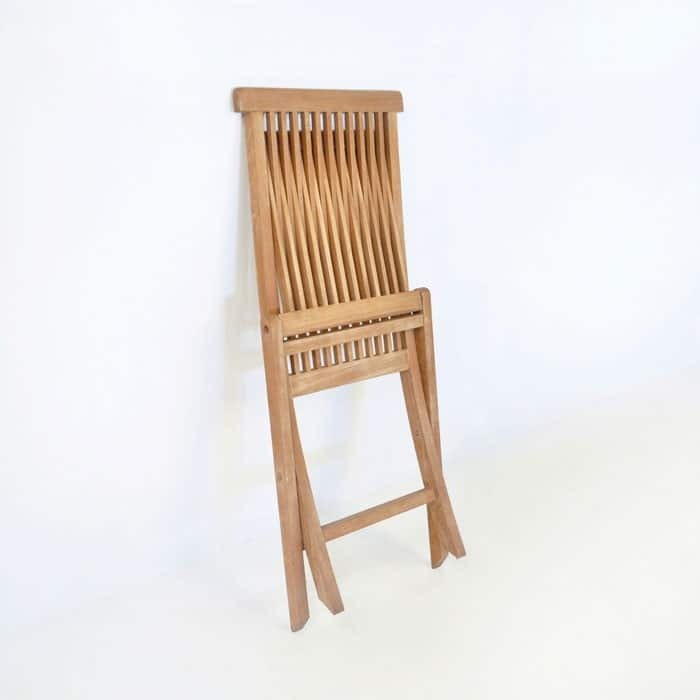 Easily our most popular teak dining chair, the Prego Folding Dining Chair sports beautiful slats of Grade A Teak in a design that neatly folds up, for convenient storage! 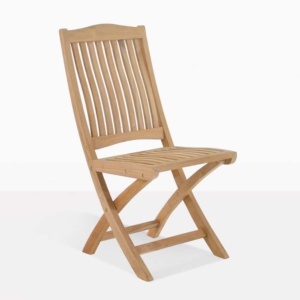 Compatible with many of our A-Grade Teak dining tables, the Prego Chair is often bought in bulk to have some tucked away for when those extra guests turn up, so they too can relax in comfort and style, without the expense of using up space! This convenient folding dining chair is perfect for those outdoor dinners! 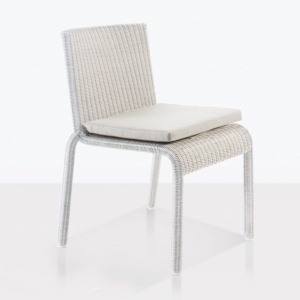 Try the Prego with one of the Nova Tables for a sweet, classic and linear look.